It’s been a long day. Work was rough, you spent most of the day putting out fires — not literal fires, of course — but basically people were mad. People yelled. You took the abuse for 90 percent of the day and spent the remaining 10 percent battling between breaking down and actually finding solutions to the problems you were getting yelled at for. Never mind the fact that it wasn’t actually your fault. That little detail seems to consistently escape the powers that be; instead they’d rather swing bluntly at an employee who they know can take the abuse. That employee just so happens to be you, as luck would have it. But rather than endlessly repeating the same conversations over and over again in your mind, it’s finally time to relax a little bit. Heck, you’ve even just finished your taxes after getting home from work, so don’t let anyone tell you that you haven’t been productive today! So you finally get to your favorite couch, you sprawl out with a bowl of ice cream in hand and your phone in the other. As you sit there scrolling through your favorite social media feed while Parks & Recreation is on in the background, your mind is finally at ease. Well, it isn’t really engaged with anything, to be fair. Nothing on your social media feed brings a smile to your face — it’s simply habitual at the point, and there is a comfort in that we suppose. As if from nowhere, you are disturbed from your pseudo-slumber by a knock on the door. It isn’t the good kind of being broken from a trance either. No, it wasn’t the pizza deliverer coming with cheesy gifts. It wasn’t your secret crush knocking on your door to tell you they want to spend the rest of their lives with you and they have a trust fund of ten million dollars or so. If there could be an opposite to the latter hypothetical scenario, it would have to be Chad. Chad, your unkempt, beast of a housemate was calling your name. He’d been calling your name for some time now, but you were in such a veg-zone that you didn’t even realize it. To finally pierce through your defenses, Chad used a particularly Chaddish screech. But there was another element to the shriek as well…something more desperate than Chad’s usual inept neediness which defines not only his tone but his entire existence. Typically, Chad isn’t able to open his mouth the sufficient amount while he is attempting to communicate in order to be understood. But this time was different, he was actually enunciating like a regular person. This gave you pause that something might be seriously awry. While Chad is insufferable, inconsiderate, messy beyond belief, rude, presumptuous, smelly, obnoxious, and a serious mooch, he remains your housemate. We won’t get into how you got stuck with this young man as your residential counterpart in this post, or ever, but what’s done is done. That being said, you get up to see what kind of inconsequential bee has buzzed into Chad’s bonnet this time. It should be no surprise to you that Chad has clogged the toilet. His foot-loose and fancy-free lifestyle means he has no regard for fiber or moderation in general. This is not the first time that Chad has clogged the toilet. But usually he would just leave the mess for you to discover while locking his bedroom door and putting on Avenged Sevenfold way louder than they should ever be listened to. Has Chad had a change of heart? Did an act of kindness change the trajectory of his miserable life forever this past day? Has he had a lobotomy? You must investigate. Once you finally make your way to the scene of the crime, the scene itself bemuses you — Chad standing there with a helpless look on his face most of all, but the fact that you are about to show up Chad by being able to unclog a toilet certainly is a virtue in and of itself. YOU were raised right, so you know how to unclog a toilet. Chad was raised by wolves and used an outhouse his entire life, until the stars aligned to punish you by making him your roomie. What If The Plunger Doesn’t Work? But then you notice what has him so vexed, the pool of water slowly growing around the base of the toilet in your home. So you grab the plunger and warm it up by running some hot water over it in the laundry room sink. Chad objects, because apparently he just now has developed some inner sense of sanitation, but you tell him to pipe down because it’s a new plunger anyway. It’s not. And nevermind the fact that Chad has just been using it on the overflowing toilet, you don’t have time for logic when the house is flooding! Plus, you’ll take the time to disinfect the laundry room sink after this episode is over. But the toilet is overflowing and you must do your best to solve the problem. You take the solid seal and get it over the exit hole, give it the old one-two-one-two, flush, and see what happens. You take it up a notch and add hot water and dishwasher detergent to the bowl. In and out the plunger goes. Nadda. A cold gleam washes over Chad’s black eyes. He’s so bent that the concern he has over the flooding house pales in comparison to your failure. This is who you live with. Socrates said he was only wise because he knew that he was ignorant. In other words, he knew that he did not know. You, a considerate student of history and philosophy, apply this ancient pearl of wisdom by ceding that you are at your wit’s end. Exhausting your plumbing knowledge is nothing to be ashamed of, despite what the Chads of the world might have you think. But how do you know which local plumber to call? 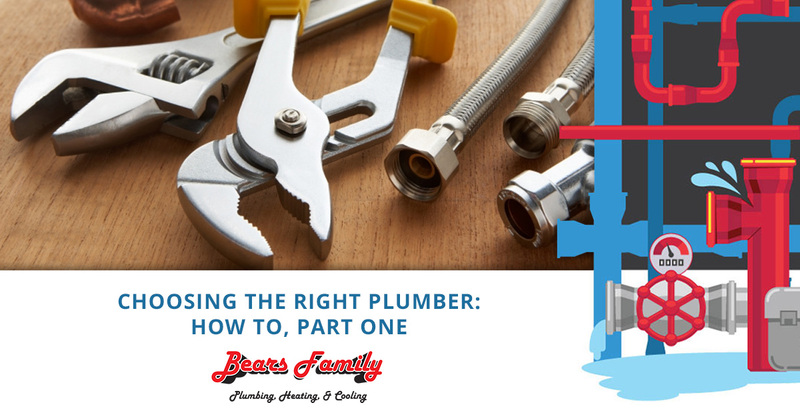 In part two of our two-part series concerning how to choose a plumber, we’ll investigate the matter in a more practical way than in part one. Granted, we wanted to personalize the topic at hand, and in doing so we took the risk of possibly being inaccurate with some specifics. But we all have Chads in our life, and pretty much every one of us will need to call a Fort Collins plumber at some point to fix a toilet or for water heater repair. 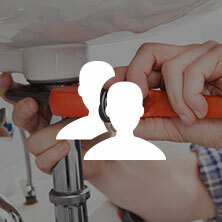 Regardless, look out for part two, and we’ll tell you exactly what to look for in a local “plumber near me,” as you may be apt to type into your smartphone. And don’t worry, we’ll finish the drama with Chad in a satisfactory manner as well. In the meantime, give us a call at Bears Family Plumbing, Heating, & Cooling if you are in need of immediate plumbing repair service! 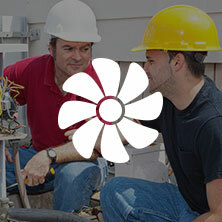 We also provide HVAC services that include residential service, repair, installation, and beyond. 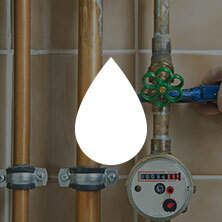 Whether you are in Loveland, Denver, Fort Collins, or pretty much anywhere on the Front Range in between those communities, we would love to provide you with affordable plumbing services. Contact us today!